Ready for trip down memory lane, in this action packed fighter I was able to play as some childhood favorites and new favorite heroes from more current games. Capcom’s Marvel vs Capcom 3: Fate of Two Worlds is a fun filled adventure, with a plethora of heroes and villains from a variety of games. MvC3 also has a few game mode options to keep you entertained for a few hours. 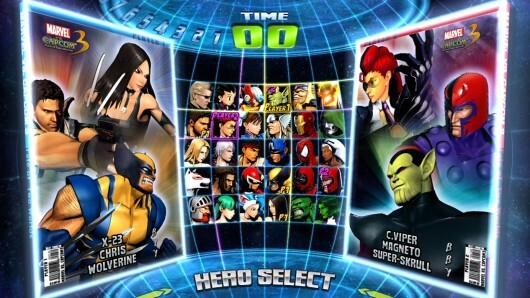 MvC3:FoTW’s character roster consists of many know character from some highly popular games of new and old generations. Of course it has well known characters such as Wolverine, Iron Man, Spiderman and the Hulk from Marvel, Chris and Wesker from Resident Evil, Donte and Trish from Devil May Cry, and Ryu and Chun-Li from Street Fighter. Then there are some other popular characters from games that I never played but heard of such as; Viewtiful Joe from Viewtiful Joe, Spencer from Bionic Commander, Amaterasu from Okami, and Morrigan and Felicia from Darkstalkers. These are not all of the characters available to play as, this is just a small portion. The roster is well done and has a lot of variety in which many players should be able to find a few favorites to play as. When you first start MvC3:FoTW you have some options right from the get go, you can play offline and play arcade mode, do a little training and get used to the way the game plays, enjoy a little versus mode with a friend, hit up mission mode, and jump right online in ranked mode against players from all over the world. I started out just playing arcade mode, a few things have changed since I last played a fighting game. You now have the option of picking three different characters for your team, who all have a few costume options. While playing through arcade mode you have the opportunity of switching between characters during the fight, when switching characters this has an opportunity of dealing some damage to your opponent as well. As the fight progresses you will have a hyper gauge at the bottom of the screen that fills up while dealing and receiving damage, the gauge has five levels each level you can choose to do a special attack or save it until the bar is completely full and do a team combo which deals massive amounts of damage. Once you progress through each level and get to the final boss who is Galactus, you will receive your total score for that play through and see the ending for the hero you won the fight with along with points to unlock item in the gallery and other characters. One point in the game that lost me was the character endings, most of the character endings never really made sense and just left me lost wondering what just happened. Training mode is training mode, you can fight against dummy opponents that will fight back or stand still depending how you set it up, this will allow you to polish up your skills. Versus mode is pretty fun a spent at least a good two hours stomping a few friends into the ground on this mode. After playing the game for a few hours and you are feeling pretty skillful you might want to switch over and play mission mode. In mission mode you choose one character, each character has ten missions. The mission range from easy to very challenging, the challenge can be as simple as pulling off a few attacks in a certain order to pulling off crazy combos. I spent only a few hours playing mission mode due to the fact that I don’t have the patience to retry each mission a countless number of times. After you hit up all of the offline fun you can play against many players of all skill levels from all over the world. The game does a good job of trying to match you up with players in your skill level. Every once in a while I did find myself struggling against a few players as it seemed they started new accounts but had been playing for quite some time and were very skilled. The online play is enjoyable but I mostly found myself spending a lot of time in arcade mode. MvC3:FoTW is a game full of countless hours of fun and interesting stories. The variety of modes helps keep the players entertained and not lose interest. The online play is fair and helps players find opponents close to their skill level rather than being thrown to the wolves. 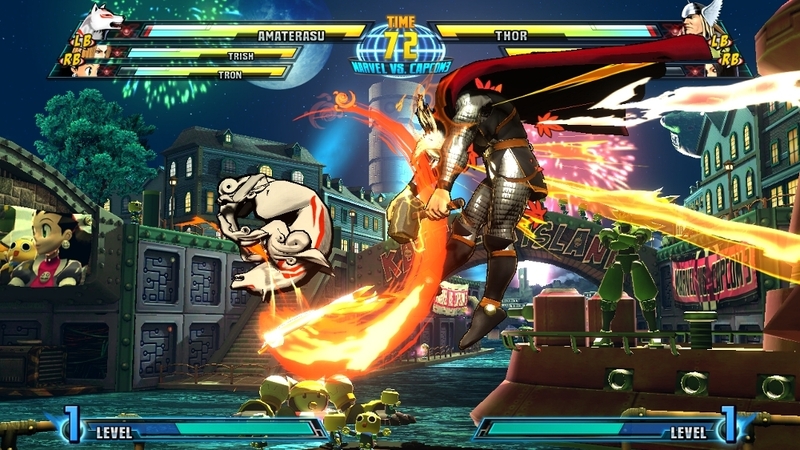 Marvel vs. Capcom 3 is a great game for fighting fans. What is your favorite fighting game?